I have always been an animal lover and dreamed of working with animals. I was able to pursue that passion during my teenage years by raising animal projects for FFA and being in agriculture classes. Thanks to agriculture scholarships and show animal sales, I was able to carry that passion into college, where I earned a Bachelor of Science degree from Sam Houston State University. I started out teaching high school agricultural classes and while I loved it, I found it consumed ALL of my time. When I married my husband in 1995, I sought a more family-friendly career and transitioned to teaching younger children in Head Start. Over the years, I have taught special education, music, and pre-kindergarten. In addition to teaching school, I am also a volunteer for the 4-H Dog Project, assisting youth with their dog projects. 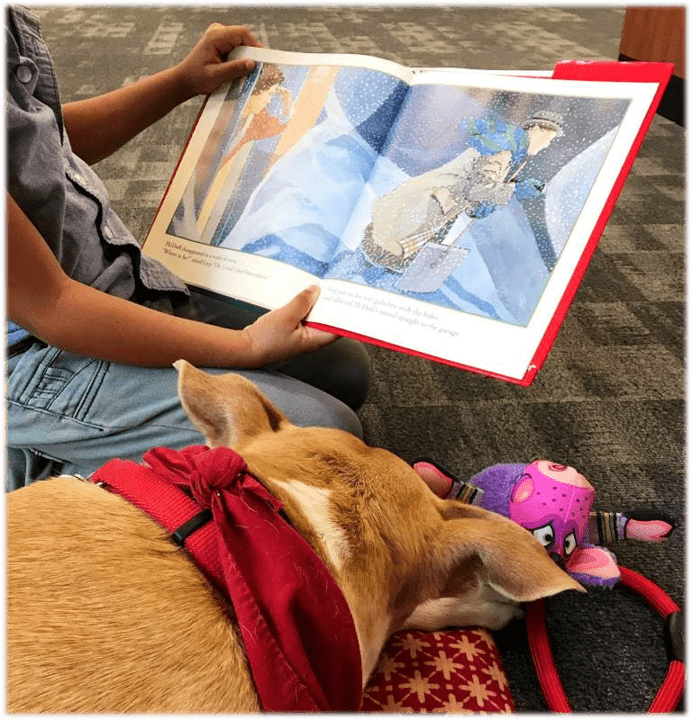 I became fascinated with therapy dogs in 2002 when my class read a story about children reading to dogs at school to improve their reading confidence. 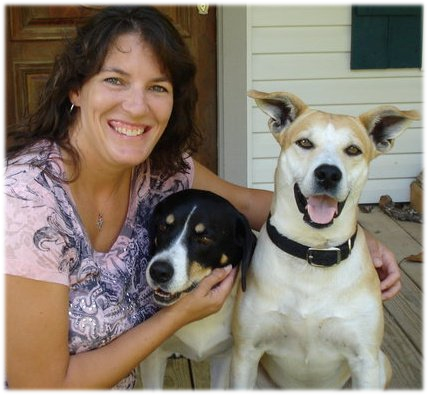 I had two dogs at that time, and I didn’t feel either of them were therapy dog candidates, but the idea captured my heart and mind and I hoped to pursue it later. In the fall of 2006, I was blessed with a stray mutt. Likely a result of the Hurricane Rita puppy boom, he just showed up at our place and we feel in love. I began to train him, had him vetted and treated for heartworms. He later became the therapy dog I’d long dreamed of, and we visited nursing homes, hospitals, libraries, churches, schools, and community events. The places this dog has taken me and the people I’ve met because of him make for a monumental story…too long to tell here. He’s been healed of cancer and now battles congestive heart failure, but he and I are still together and our faith is still strong. These days I am president, instructor, and evaluator of Southeast Texas Paws 4 Love, a non-profit group of therapy dogs and handlers. My husband and two sons have also been involved and a big help in our endeavors. Over the years of watching in awe how therapy dogs can transform a person’s situation, I also observed Service Dogs and how they do that and more for their handlers. I had a life-changing conversation with a stranger one day and was given a vision: to build a training facility where wounded Veterans and others struggling with depression or PTSD could come and train dogs as part of a therapeutic program. Since that day, I’ve been studying and learning everything I could about Service Dogs and advanced dog training. 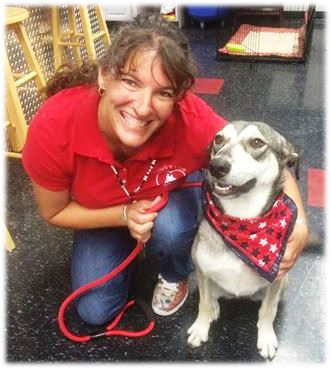 I adopted a pound puppy and began training her as a demonstration Service Dog. I have a disability myself, being completely deaf in one ear, so I would like to train Chili to help me hear the things I miss due to hearing loss. I was blessed to be recruited to train for another Texas Service Dog program for the past year or so and I thoroughly enjoyed the work and training I gained through them. Now, through lots of work and testing, I have obtained my Certified Professional Dog Trainer- Knowledge Assessed (CPDT-KA) certificate. I look forward to forever learning what dogs have to offer us and helping handlers have a better relationship with the finest gift we have in dogs. I am still working toward my goal of a hosting a therapeutic training facility, and I know I will see it happen one day!